Gene Savoy, JR. is President of Cosolargy International and the Jamilian University of the Ordained. He also presides over the World Council for Human Spiritual Rights. 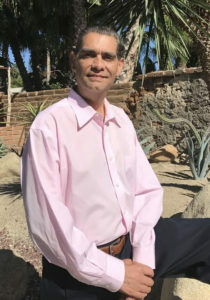 He is dedicated to leading a new global spiritual movement that encompasses all religions, faiths and traditions based upon the Universal System of Cosolargy and the Sacred Teachings of Light, which he directs internationally from Cosolargy headquarters in Reno, Nevada USA. Widely traveled, he regularly presides at, visits and attends venues world-wide bringing together members of all faith and cultural traditions. Gene is educated in various fields and is the author of Solar Cultures of Ancient Greece. He is currently authoring another book on his father, the late Gene Savoy, Sr.
Gene is a Bishop with the International Community of Christ, and President of Cosolargy International and the Nevad Clergy Association, as well as the Chairman of the Northern Nevada Martin Luther King, Jr. Holiday Committee, and an Advisory Board Member of both the Volunteers of America (Northern California/Northern Nevada) and the Child Health Institute (Renown Regional Medical Center), as well as the President of the Steamboat Hot Springs Healing Center & Spa located near Reno, Nevada. He is a fascinating man, with many accomplishments, and his interview should be really Out of this World!